We encourage our pupils to develop an appreciation and enjoyment of both the pattern and power of Mathematics, and ensure that every pupil is given the opportunity to achieve his/her mathematical potential to the full. The Department believes that to involve the students actively in their learning will help foster independent thinking and informed planning. Mathematics is creative as well as functional. The Department aims to teach in a meaningful context whilst providing opportunities for the students to use their skills creatively through problem solving and investigation. We endeavour to provide a variety of experience and activities for each topic: observation, talking and listening, reflection, reading and writing all have their place in the Mathematics classroom. 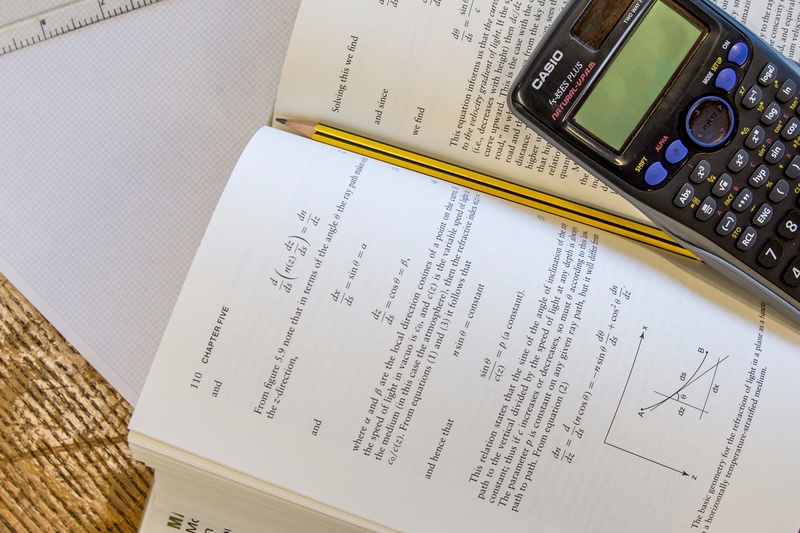 In Years 7 to 9 and throughout the GCSE years, students will develop the ability to describe, tackle and ultimately solve problems that require the application of mathematical knowledge and techniques. Consequently the main approach to teaching and learning Mathematics will be based on problem solving. In addition to the Mathematics course, extra topics are studied throughout years 10 and 11 to provide enrichment and to stretch and challenge the students. Students are also given the opportunity to take part in the annual UKMT Intermediate Mathematics Challenge event. Examples of programmes of study for A-level Maths are given in the table below. The programme of study for Further Maths is given in the table below.